Behold! 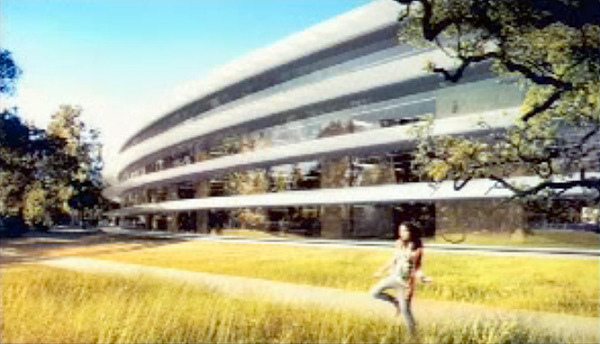 The unveiling of Apple’s next product… the iBuilding. 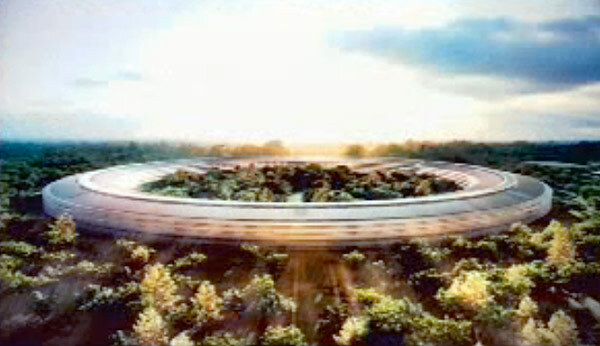 Okay, so it’s not a product, but it is their highly-anticipated new campus in Cupertino, California. 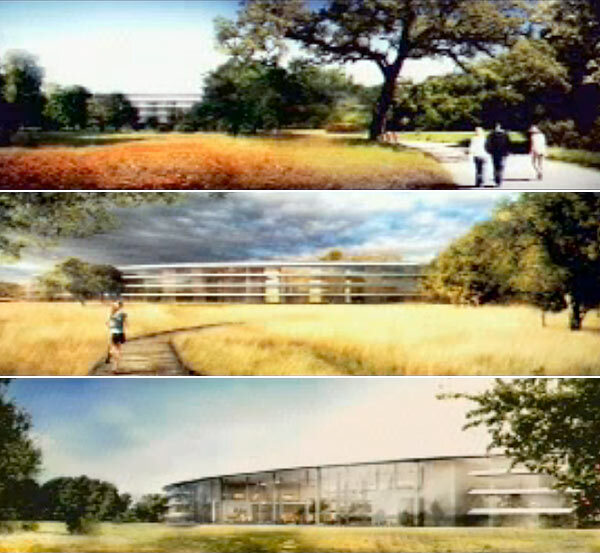 Steve Jobs, wearing his trademark mock turtleneck and jeans, revealed the plans—with fancy, although somewhat grainy renderings—at yesterday’s Cupertino City Council meeting (watch the video after the jump). 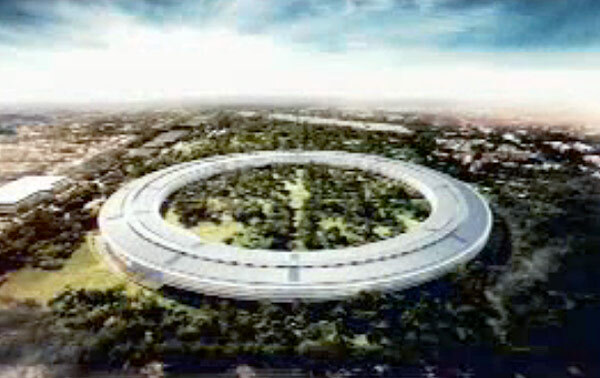 According to several reports, the architect of the new complex, whose land Apple bought from Hewlett Packard, will be Norman Foster, but that hasn’t been formally announced. 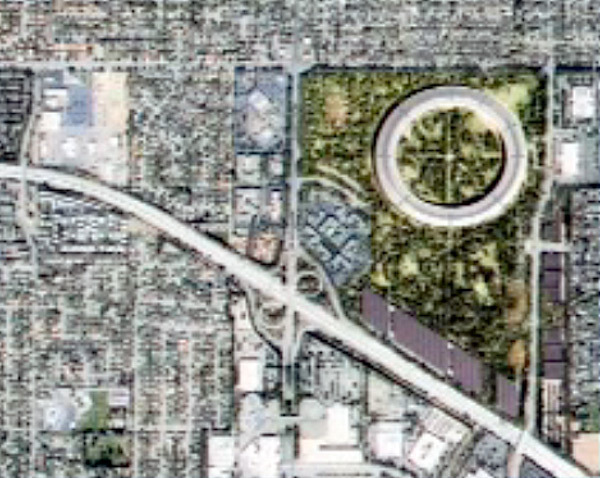 A few highlights of the new design: Apple’s new HQ is shaped like a doughnut, a spaceship, or an iPod trackwheel. It’s clad in curved glass with a giant courtyard in the middle. 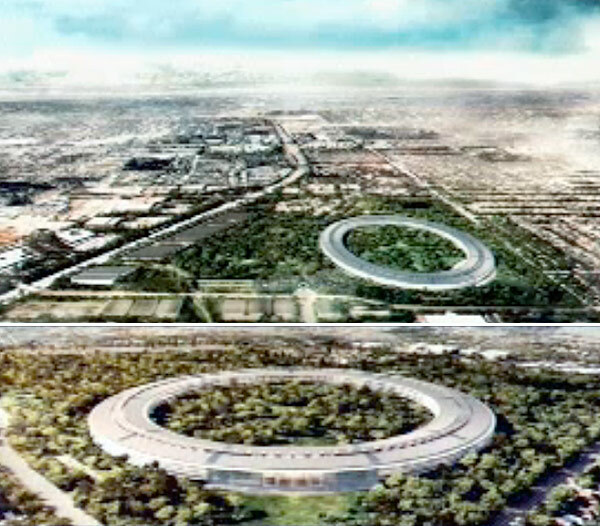 While Apple plans to increase it’s employees from 9,500 to 13,000, it will reduce its surface parking by 90% (from 9,800 to 1,200) and most of the parking will be underground. The vast majority of campus is set aside for landscaping (with an estimated 6,000 trees). According to Jobs, the building will generate its own clean energy using the grid as backup. 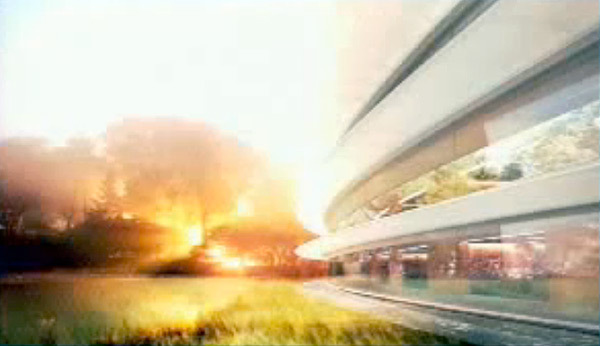 Given how the council treated Jobs like a visiting god, it looks like the company should get the project passed. If it moves forward, the new campus is expected to be complete by 2015.